DOWNLOAD ONLY. 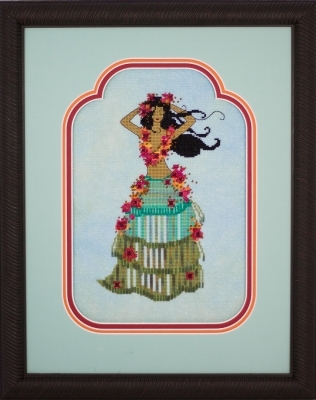 CLICK ON "HULA" ABOVE. 257527 Caribbean Blue; Hand Dyed - Jobelan Aida; 14ct; 51% Cotton & 49% Rayon/Modal; Width 48" (1/2yard will be a fat half or 36" x 24"); DMC 964; PrePack 257527JA; Fat Half or 36" x 24"
72045 Willow; Bugle; Green; Small - 11/0 ( 6 mm Long ); 3.10 Grams / Approx 100 pcs.